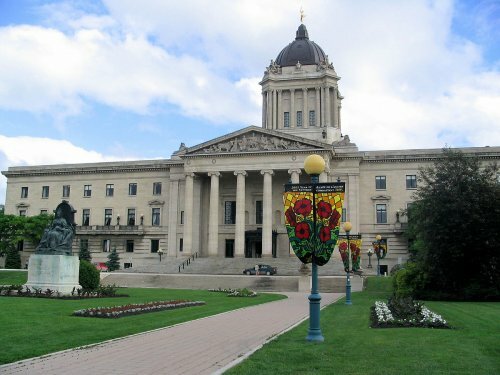 The Province of Manitoba is beginning its process to develop a new poverty reduction strategy in order to comply with existing legislation, The Poverty Reduction Strategy Act, which requires a review and update of the plan every five years. While they will fail to meet a legislated mandate to release a plan in 2017, a new plan will be presented next year. The Minister of Families as well as the Minister of Education & Training noted that the new strategy would feature revised indicators to measure progress on poverty reduction. Consultations with stakeholders will begin in December, with an online survey for the general public that will be released in early 2018. Poverty reduction remains one of CCEDNet Manitoba’s key policy areas. At our 2017 Policy Summit, which occurred on 22 November 2017, we amended our resolution on Poverty Reduction to urge the Province of Manitoba to create and implement a new strategy immediately (see our provincial policy ask below). We have supported Make Poverty History Manitoba’s campaign and continue to advocate for a poverty reduction plan that is comprehensive, created in collaboration with community members, and includes timelines and targets for reducing poverty. CCEDNet Manitoba will be sending in a submission to the province as well as participating the consultation process. The process will focus on the following five areas with respect to poverty reduction: everyday living, employment, education and training, health and wellbeing, and sense of belonging. We suggest you consider participating in the Province’s process as well, by sending in position papers, letters and other written submissions. Be It Resolved That: CCEDNet Manitoba urge the Province of Manitoba to respect existing legislation by revising and implementing a new poverty reduction strategy immediately, and make it more comprehensive and effective by implementing the recommendations in the renewed The View from Here and by identifying outcome based targets and timelines for measuring results.